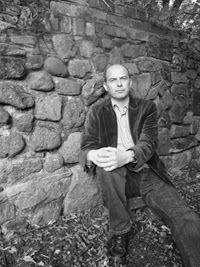 Today's guest blog is by Mark Wright who was born in Leicestershire and worked in the music industry before changing career to become a Private Investigator. He retrained in 1989 and spent the next twenty years in the mental health and probation services in the UK. The origins of my Bajan detective, Joseph Tremaine Ellington and the genesis of Heartman were born on a different continent. In the autumn of 2003 I had travelled to New York and then took a flight on to the state of Louisiana and New Orleans. The two American cities could not be more different. Manhattan feels huge and modern, it is an iconic place and even after visiting on numerous occasions, amongst all the wonder of its skyscrapers and iconic municipal buildings, I still find its vastness intimidating and impersonal. New York has always given me the ‘Joe Buck’ – Midnight Cowboy kinda of feeling. Like I was a fish out of water in a city way too fast for me. New Orleans is the polar opposite. Its French Quarter to this day still has back streets that, when you walk down them, give off the aura of bygone, hedonistic southern times. Live oaks, palms and Cyprus moss hang from the ornate balconies of the veranda gardens of elderly buildings. There is heady tropical scent that permeates every part of the quarter and whether it be dusk or dawn you get a strong and eerie feeling that the ghosts of the American civil war are never more than a hairs breath away from you as you are drawn along its time worn sidewalks. Both New York and New Orleans have seen there fair share of crime over the years and crime writers have took inspiration from the mutually seedy criminal underbellies that can be found in both cities. This old port town on the edges of the Gulf of Mexico with its creepy aura and timeless feel helped me to create the foundations of my book, Heartman. I found my inspiration in the Abbey Bar in Decatur Street in the French quarter. J T Ellington was born on a real hot day and in a heavy storm that was hitting New Orleans one Tuesday afternoon in September 2003. Outside the streets ran with rain and I was happy to be sitting out of the downpour with a long necked bottle of ice cold Dixie beer which had been served to me by a diminutive but hard looking Louisianan bar man who was sat across the bar from me dressed in a grubby white vest and who was happily reading a Harry Potter hardback. Brownie McGhee’s Good Morning Blues was playing on the juke box and I had a copy of James Lee Burke’s Neon Rain for company. On my travels I’d always took a couple of Burke’s Dave Robicheaux crime novels along for the ride and now in New Orleans, home state of my favourite crime writer it seemed only fitting to be reading one of his books. But in that New Orleans bar, rather than read, I found myself writing. Just less than ten years later in the spring of 2011 the idea of Heartman came flooding back to me. I’d enrolled in a creative writing course at Leicester University, tutored by the brilliant Guardian columnist, Damien G Walter. I took the bare bones of my book to him in screenplay form and Damien advised to restructure it, telling me it had the makings of a good novel. I began work in earnest, thrashing out the first draft in around four weeks, Heartman’s original title was; Rock a Bye Blues. After lengthy research I’d decided that Bristol rather than Leicester was a more historically expansive city for Ellington and my story to exist in. In May 2011 I pitched the book to literary agents, David Headley, Broo Doherty and Camilla Wray at the ‘Pitch to an Agent Slot’ at Crimefest in Bristol. All three liked it, all three asked to see more. During my first Crimefest experience I was lucky to be introduced to my wonderful literary agent, Philip Patterson of MARJACQ Scripts. Phil took Heartman away with him and in September of that year kindly offered me representation, the rest, as they say... is history. I write in the first person, through Ellington and the voice of Heartman is very much of its time. The book is set in 1965 and I hope the mores of the era are captured authentically. In a literary sense I have been influenced by the writing of Ross MacDonald, Dashiell Hammett and Raymond Chandler and of course I tip my hat to the brilliant LA Noir crime writer, Walter Mosley. But despite those great influences I hope readers of Heartman will see J T Ellington as being a character that stands out very much on his own. He is not super human, he is a man who struggles with self doubt but at the same time on the street, has an out ward cocky confidence that hides insecurities. He is plagued by the demons of his past and misses the Caribbean life that he has been forced to leave. Ellington is Barbadian, an ex colonial police officer, and a man with secrets who is barely existing in a country he really does not want to live in. The sense of prejudice and hostility to both Ellington’s colour and his past as a disgraced police officer permeate through the book. This was deliberately structured from my early drafts and I hope has added to my detective’s personal sense of social and cultural isolation. As a character, Ellington has lived with bigotry and intolerance for as long as he can remember and this is reflected within the book. 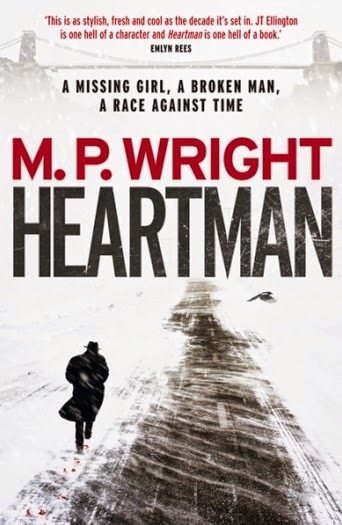 The ugly face of racism in the 1960’s in Britain towards the immigrant population is never far away in Heartman and its unwelcome presence will be a reoccurring theme in my future Ellington books. To recognise and address such truths within my stories is both important to me as a writer and I hope it keeps the books grounded in both social and historical fact. Telling it how it is (or was back then) is something I know would dearly matter to my man J T... and I’d be a damn fool to upset him. You can follow M P Wright on Twitter @EllingtonWright or on Facebook. Who knew? Everyone except me?